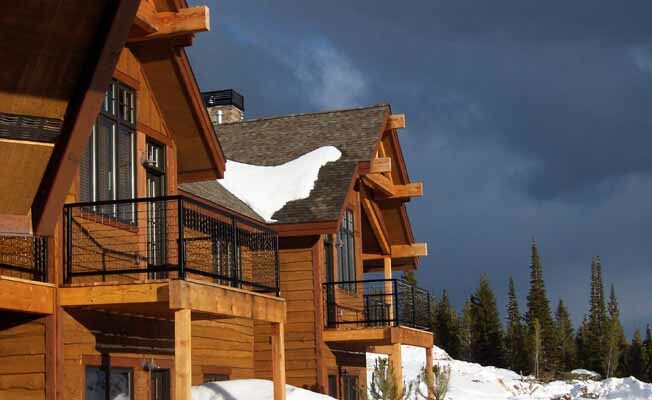 Big Sky Ski Home is a 3 bedroom, 3 bath townhome that can accommodate 7. You will find nothing but high end finishes throughout the 3 bedroom 3 bathroom Alpenglow townhome. Designed by a well known Montana architecture firm, our vacation home showcases hardwood flooring, alder cabinetry, a giant stone masonry fireplace, granite countertops, a slate walk-in shower, in-floor radiant heat throughout, twenty foot ceilings, and a private outdoor hot tub. The unit is a walk-out rambler with easy access to one bedroom and bathroom on the main level along with the living room, kitchen, dining room, and entry (great for handicap access). The basement includes 2 more bedrooms and bathrooms and a laundry/mechanical room with a full sized washer and dryer. The mountain village shuttle picks up right by the home for a quick and convenient trip to the base area! Be sure to ask about the referral and repeat customer discounts. Our home is professionally managed and maintained by Alpine Property Management Company. They will be a phone call away at all times during your stay.